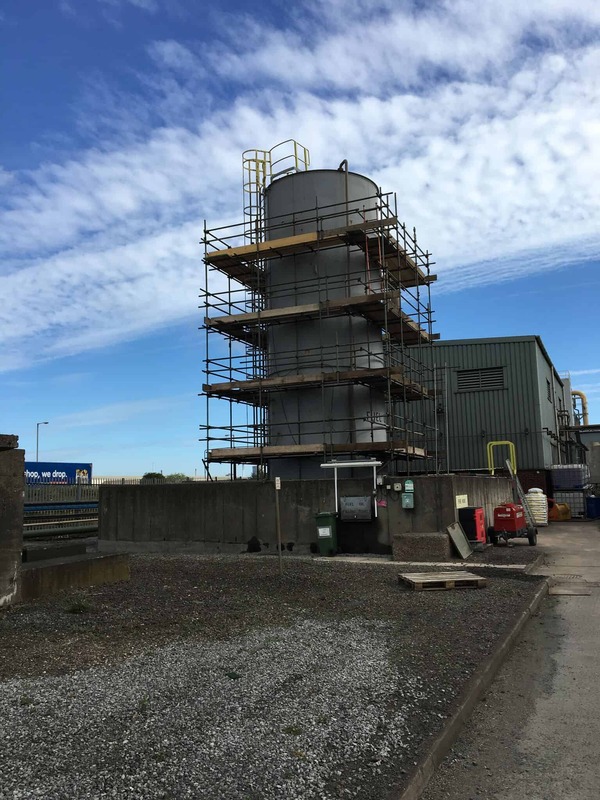 fuel storage tank, and replace it with a new one. 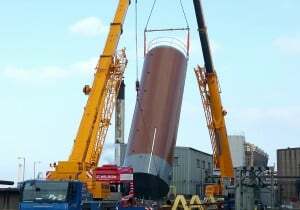 The original tank on the B.O.C site. 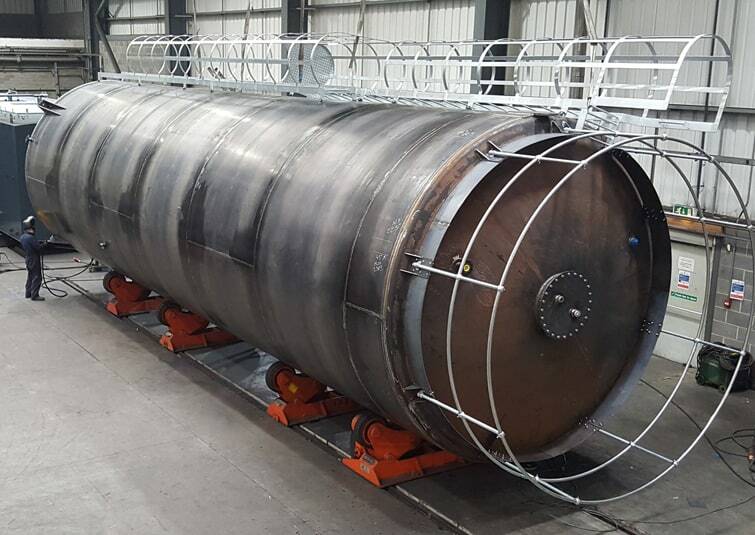 – Terence Barker’s new tank. 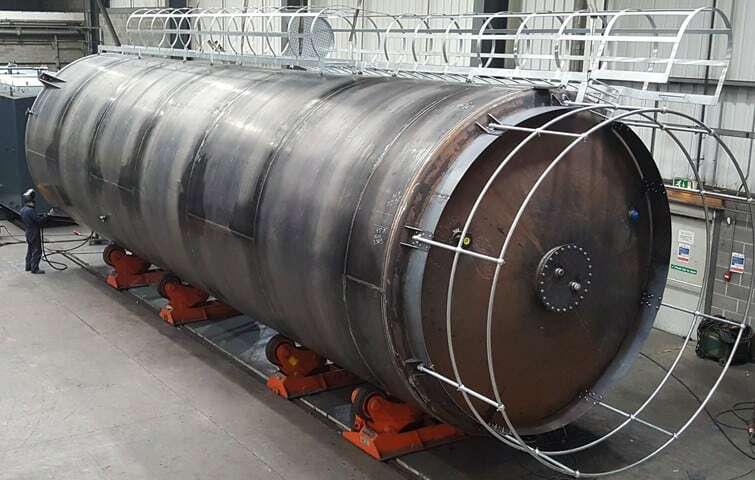 Terence Barker manufactured this 146,000L vertical cylindrical gas oil storage tank. 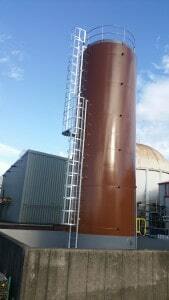 The new 146,000L vertical cylindrical gas oil storage tank which stands 13 meters high. 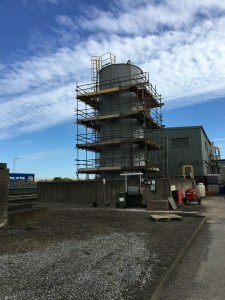 high was installed in January 2017.